3) It makes spotting machines of a similar type that are not truly patching a lot easier. 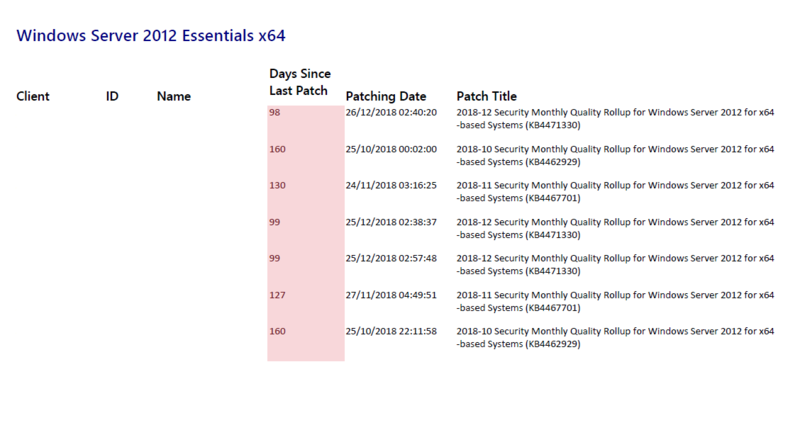 If 50 Server 2012 R2s have the last installed patch as 2019-03 Security Monthly Quality Rollup, and 1 Server 2012 R2 has the last installed patch as 2018-07 Security Monthly Quality Rollup then something is wrong! 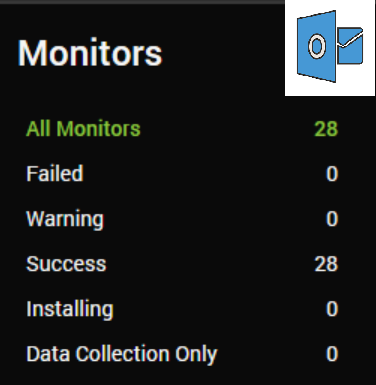 A number of people have tested this report in the MSPGeek Slack, and so far everyone has found something that was broken. Whatever you find on this report, I am interested to hear feedback. Please e-mail me through the contact form or come speak to me on the MSPGeek Slack (I am @Gavsto). To import this report, open the Report Center, go to Report Designer, choose open, browse to the REPX file, publish to database then run from the report list. 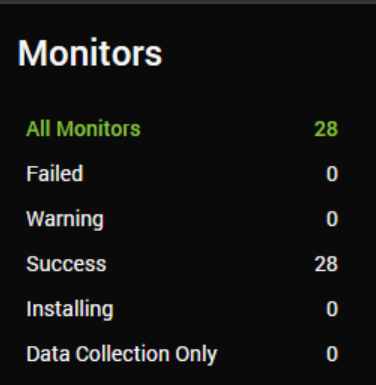 Do not select a computer or the report won’t work, when running don’t select anything in quick filters. 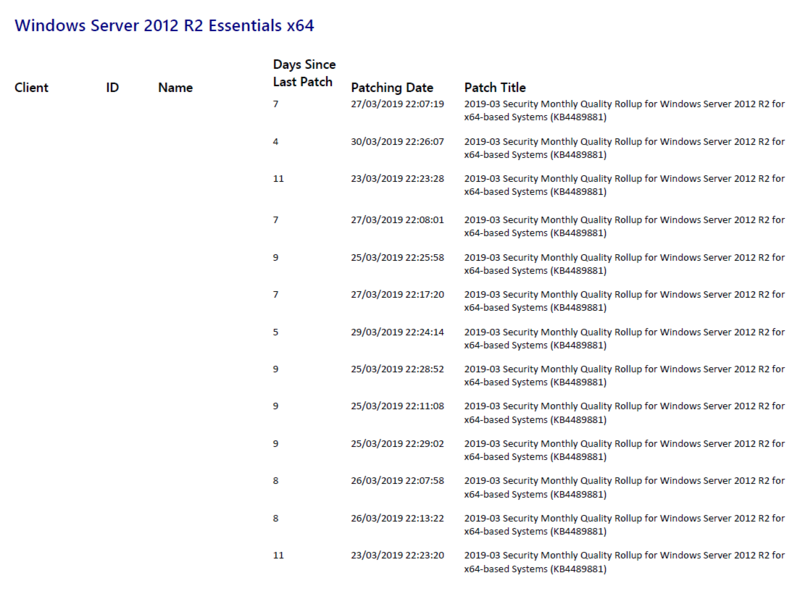 This report does not support Server 2003, and neither should you! I look forward to any feedback or suggestions for improvement. 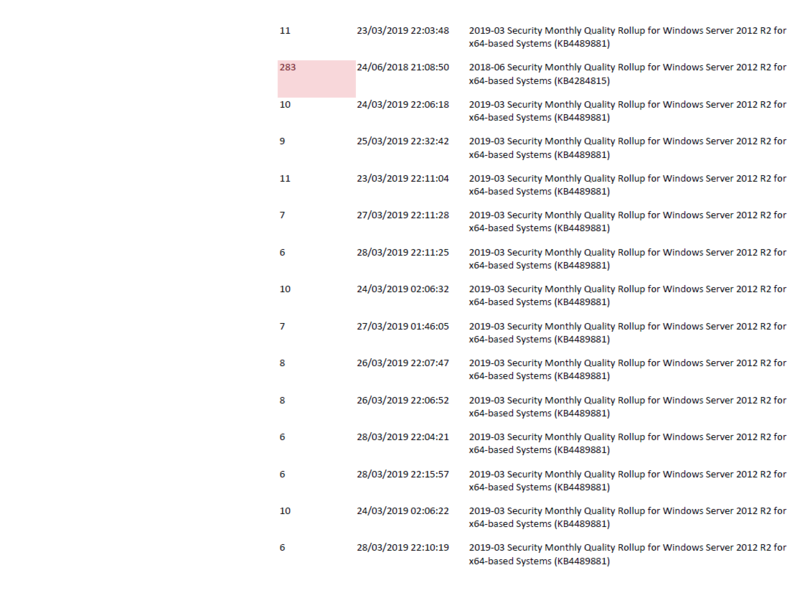 This report is experimental in that the more feedback I get the better I can make it. 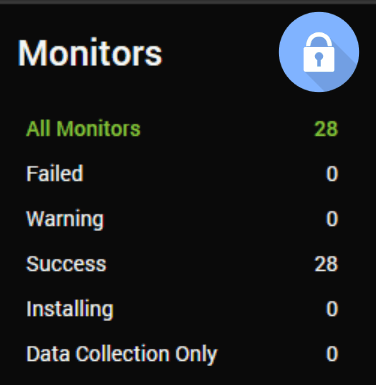 I’ve not run this against workstations yet, I’m scared to see what I will find to be honest.